Here are new posters released by Warner Bros. featuring Hal Jordan's (Ryan Reynolds) intergalactic allies. Ladies and Gentlemen meet The Green Lantern Corps. If Hal can quickly master his new powers and find the courage to overcome his fears, he may prove to be not only the key to defeating Parallax…he will become the greatest Green Lantern of all. For the sake of those who don't read comic books, there are approximately 7200 members of Green Lantern Corps assigned to patrol all 3600 Sectors of the Universe. 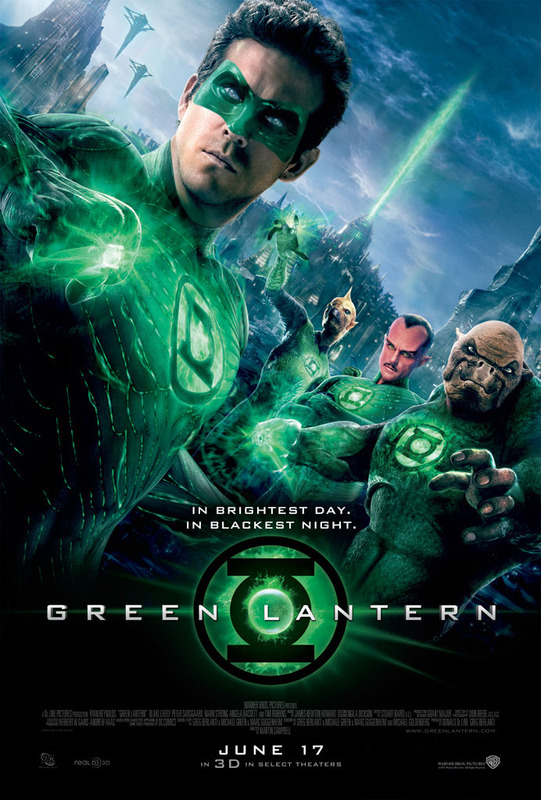 Some of the most prominent name on Corps are featured on these posters like of Abin Sur (Temuera Morrison), Tomar-re (Geoffrey Rush), Kilowog (Michael Clarke Duncan) and Thaal Sinestro (Mark Strong). I admit it I don't really follow the GL comic book and I don't know the rest of the Green lantern members featured on the banner. But I'm hoping that this movie will ignite my interest over this title. And so far, I'm impressed. I guess Green Lantern is not that boring after all. Witness the shining of the Green Lantern light in 3D on June 16, 2011, from Warner Bros. Pictures, a Warner Bros. Entertainment Company.